All sorts of random stuff, tables, lists, images, etc. Which one to get: full-speed or hi-speed device? What about this new-fangled USB 3? 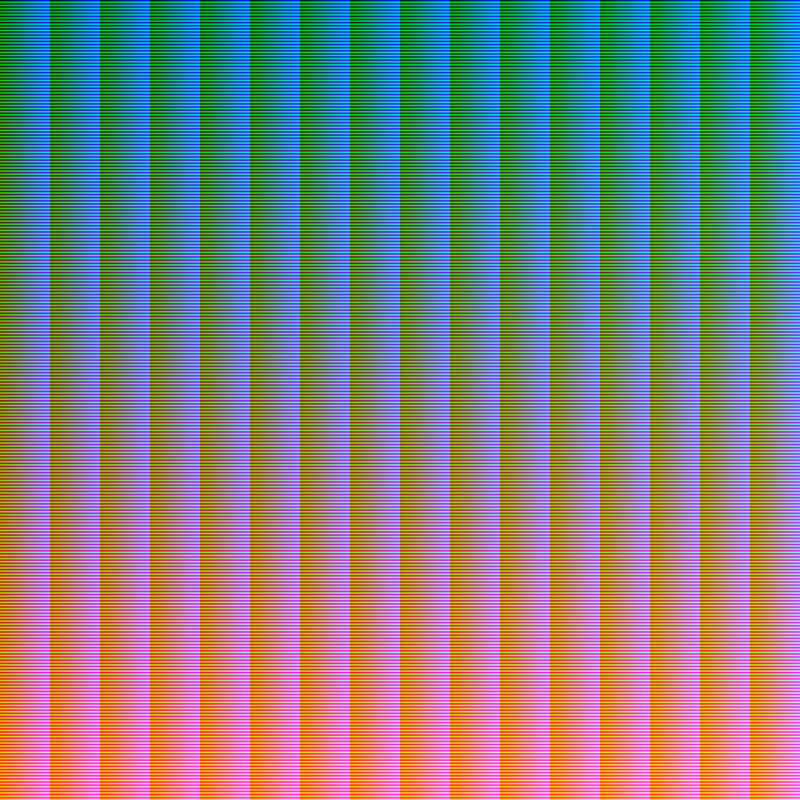 This nifty 124 KiB PNG isn&apos;t the prettiest image out there, but it contains all 224, or 16777216, colors, ie. all colors you can display on a computer screen unless you have some fancy HDR stuff. Its dimensions are 4096x4096 pixels and it takes approximately 50 MiB of RAM. It is also an excellent example of how terrific the PNG&apos;s filter/deflate compression algorithm is. It was made with a special program and raw PNG compression gets the file size down to 172 KiB. But PNGOUT got it down to 124 KiB. And who wrote PNGOUT? Who else than Mr. Silverman, the man behind the BUILD engine that powered Duke Nukem 3D, Blood and others in the &apos;90s. In case you want to poke around. This is where the downloads come from. Various random things. Images, Flash and other assorted stuff you might find mildly amusing. Might contain NSFW stuff.